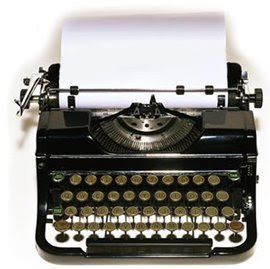 It was on this day in 1868 that the typewriter was patented, by Christopher Sholes in Milwaukee, Wisconsin. In 1873, he sold the patent to the Remington Arms Co., a famous gun maker, for $12,000. There had been typewriters before, but they weren't very practical — it took longer to type a letter than to write it by hand. The first commercial typewriter based on Sholes' design, a Remington Model 1, went on the market in 1874. Ernest Hemingway, loved his Royal typewriter. He kept it in his bedroom so it would never be too far away, and he put it on top of a bookshelf and wrote standing up. Hunter S. Thompson, wrote on a red IBM Selectric. One of his first jobs was as a copy boy for Time, and while he was supposed to be working, he used a typewriter and typed out, word for word, all of The Great Gatsby and A Farewell to Arms, in order to learn something about writing style. Jack Kerouac, was fast at typing, and it frustrated him to have to change the paper so often. So he took long sheets of drawing paper, trimmed them to fit in the machine, and wrote all of On the Road that way. When he taped them together at the end, the manuscript was 120 feet long.